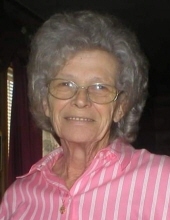 Brenda Lucille Wimpee Lewis, 74, passed away on Sunday, April 14, 2019 at her home in Warrington of 51 years. She was born on April 23, 1944 in Mobile, Alabama. She moved to Pensacola, Florida in 1966. She was blessed with her three boys, Randy, Wesley and Robert, who she raised as a single parent while working two jobs most of their young lives to make ends meet. Some of her notable employments include a Food Handler at NAS Saufley Field; numerous convenience stores in Pensacola; and a cleaning contractor at the Gulf Coast Kids House. She also completed the Nursing Assistant program at Pensacola Junior College. Besides spending time with her family and friends, Brenda had a passion for baking sweets and giving them away during special occasions. When she wasn’t with family and friends, she enjoyed her time working in her yard and caring for her dogs, Mookie, Bruiser, Tucker and Zeus, along with her lifelong feather friend, Bugger, of over 23 years. Survivors include her three sons and daughters-in-law, Randy and Linda Lewis of Lillian, Alabama; Wesley and Kim Lewis of Elmira, Michigan; and Rob and Heather Lewis of Ramstein, Germany; 8 grandchildren and 12 great grandchildren; and her sister, Barbara Holcombe of Auburn, Alabama. She was preceded by her parents, Ira and Myrtle Wimpee; sister, Verna Mae Islitzer; brother, Arlen Wimpee and grandson, Randall Lewis, Jr.
A Memorial Service will be held Thursday, April 18, 2019, at 1:00 PM, at Faith Chapel Funeral Home South. Visitation will be 12:00 PM to 1:00 PM. Pastor David Joiner will be officiating. Her remains will be laid to rest at Okwakee Cemetery, Deer Park, Washington County, Alabama on Saturday, April 20, 2019, limited to family and close friends. In lieu of flowers, the family asks that a donation be made in her name to the Gulf Coast Kids House in Pensacola, Florida. Donations can be made at www.gulfcoastkidshouse.org in honor of Brenda L. Lewis. FAITH CHAPEL FUNERAL HOME SOUTH, 100 Beverly Parkway, Pensacola, has been entrusted with arrangements. You may express your condolences online at www.fcfhs.com. To send flowers or a remembrance gift to the family of Brenda Lucille Lewis, please visit our Tribute Store. "Email Address" would like to share the life celebration of Brenda Lucille Lewis. Click on the "link" to go to share a favorite memory or leave a condolence message for the family.